I’ve read a lot of articles and posts about death after Facebook. Thanks to the digital world we now live in, you can live on forever in the interweb. In the immediate weeks following his death (F@#$ you cancer), many used his profile as a way to collectively grieve. I was one of them. I spent days scrolling through years of photos and posts that documented every random thought he’d had. I received messages and stories from his friends, all of which were lovingly saved into a document for his future grandchildren. But as time passed, I became one of the few to ever post anything on his wall. Facebook Memories became a daily assault on my healing heart. It became something I dreaded looking at. And we can’t forget about the people who’d wish him a happy birthday, or ask him for something, that I’d have to inform that he’d died. Super fun for me. 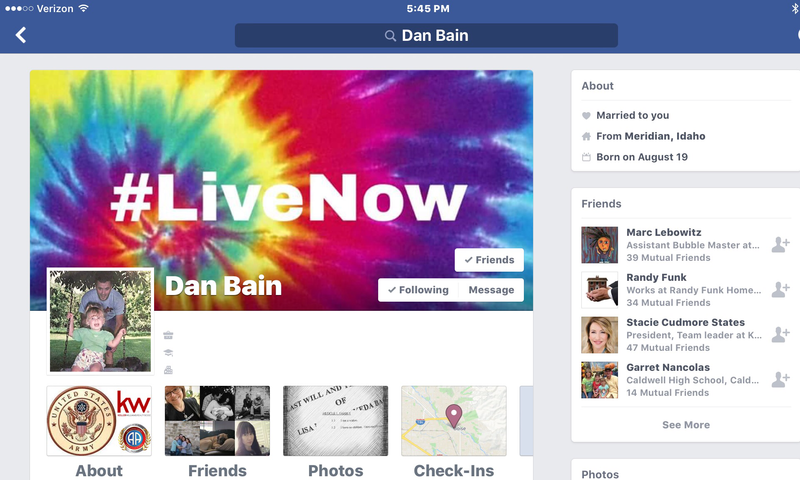 Before he died, Dan added me as his Legacy Contact to make the decision on what to do with his Facebook profile. (Twitter and LinkedIn don’t have that option so required death certificates). For the last few months I’ve felt that it was time for his profile to come down. After consulting with family, my grief counselor and other W’s, I felt surer of my decision. I don’t need a Facebook Memory to remember him, or the amazing life we shared together. And if you were an active part of his life, you don’t either. P.S. For those of you who are freaking out right now, the Dan Bain Memorial Scholarship page will remain active.